A first-quarter gain of just over 2 million subscribers to its streaming service helped Netflix shares soar, passing $200 a share in after-hours trading for the first time since 2011. Industry expectations were of about 1.7 million. Quarterly revenue exceeded $1 billion for the first time. Netflix also announced a new subscription option designed to profit from the practice of password-sharing for its streaming video service. The existing service (which costs $7.99 a month) limits subscribers to two simultaneous streams. It plans to offer an option – designed for large families – that allows four simultaneous streams for $11.99. They said that some investors worried that the House of Cards fans would take advantage of a free trial, watch the show, and then cancel. “However, there was very little free-trial gaming – less than 8,000 people did this – out of millions of free trials in the quarter,” they reported. It predicted that it would end the second quarter with about 29.4 million to 30.05 million streaming subscribers in the United States. International membership grew by 1 million during the quarter to a total of 7.1 million, generating 14 per cent of global revenue. 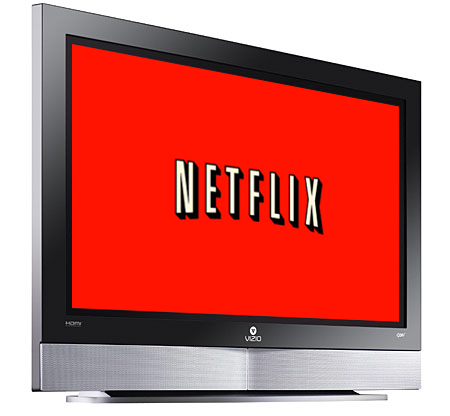 During Q4 2012, Netflix added 1.8 million net international members and 1.2 million during Q1 20122. The Nordics and the UK/Ireland launch in Q4’12 and Q1’12, respectively, resulted in an elevated level of net additions in those launch quarters as Netflix benefited from the initial growth of a new territory. In all of its markets, it saw growth and improved profits or reduced losses. International contribution losses improved $28 million sequentially, better than expected due primarily to less growth in content spending than forecast. Netflix revealed plans to launch an additional European market during the second half of 2013 promising to say more about this on its July earnings call.